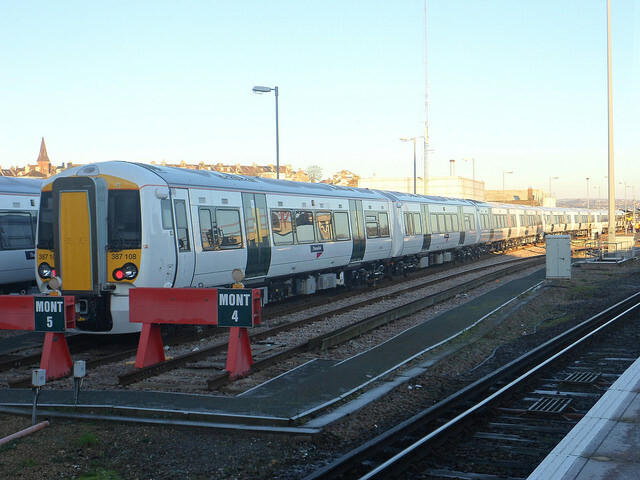 A man in his fifties was left with injuries to his face after a violent attack on board a train from Brighton to Redhill on Saturday night. British Transport Police (BTP) are investigating the incident, which took place shortly before midnight on Saturday, 1 August. It is alleged two men used abusive and threatening language towards two other men on the train before the assault, which left one of the men, in his 50s, with injuries to his face. Detectives are currently working to determine the full circumstances. A BTP spokesman said: “Violence on the train network is unacceptable, and passengers have every right to travel in a safe environment without fear of violence. “This was a busy train and I am sure many people will have witnessed what happened and will be able to help our investigation. An independent appeal for information with pictures of two people identified by the blogger as suspects has been widely circulated on social media, but BTP say they have not released these images. Anyone with information is asked to contact British Transport Police on 0800 40 50 40, or text 61016, quoting reference S/B6 of 03/08/2015. Information can also be passed anonymously to the independent charity Crimestoppers on 0800 555 111.